Last month, Netflix canceled Iron Fist after two seasons. 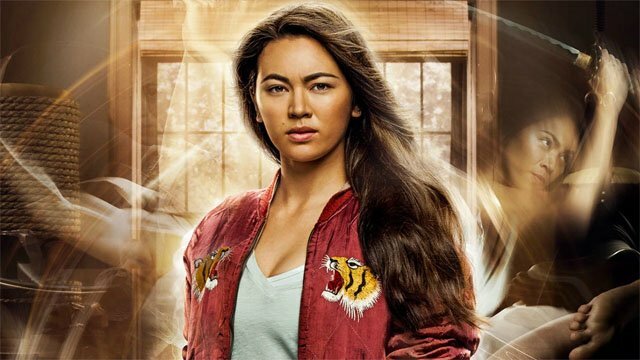 Now, series star Jessica Henwick is set to jump from Marvel’s Netflix shows to Legendary Pictures’ MonsterVerse. Variety is reporting that Henwick has joined the cast of Godzilla vs. Kong, the upcoming feature film rematch of the titular monsters. No details about Henwick’s role are currently known. Aside from playing Collen Wing on Iron Fist, Luke Cage, and The Defenders, Henwick is best known for stint on HBO’s Game of Thrones. She portrayed Nymeria Sand, one of the Sand Snakes. She also had a minor role in Star Wars: The Force Awakens. Legendary’s MonsterVerse began in 2014 with the Godzilla reboot, before continuing in Kong: Skull Island. Godzilla: King of the Monsters will continue the shared universe in 2019, with Stranger Things‘ Millie Bobby Brown in one of the leading roles. Brown is portraying Madison Russell, but few details about her character have been revealed.. However, Brown will return for Godzilla vs. Kong. Demián Bichir, Alexander Skarsgard, Eiza Gonzalez, Rebecca Hall, Brian Tyree Henry, and Julian Dennison are also confirmed for the film. Danai Gurira (The Walking Dead) was also reportedly approached over the summer about a role in the sequel. Adam Wingard is directing Godzilla vs. Kong, which will stomp into theaters on May 22, 2020. Do you have any theories about who Jessica Henwick will play in Godzilla vs. Kong? Share your thoughts in the comment section below!